Yahweh Maccaddeshcem: “The Lord your Santifier” God alone can make us pure and holy, through Him we become as we were meant to be. We are all sinners…you, me, everyone. We have all sinned and fallen short of the glory of God (Romans 3:23). Through Christ we are made holy once again and our sins are washed clean away. Yahweh Ro’i: “The Lord my Shepherd” God guides us and protects us, much in the same way a shepherd guides and protects the flock. We are all lost sheep and Christ is seeking us all out to bring us back together in His flock. Whenever I get off track, I feel the gentle prodding my my Shepherd…getting me back on track. Jehovah Nissi: “The Lord my Banner” Jesus is our rallying point, the firgure that we, as Christians, gather around and are united under. I will rally around the banner that is Christ…it is above any nation or government and is my first allegency. There are so many names in the Bible used to describe the attributes or characteristics of God. It is a topic worth studying and deserves so much more justice than a simple blog post can provide. We are covering some the various names of God during Wednesday evening services with the junior highers. If you should feel so inclided, please pray that God gives us the words to say so that the junior highers understand just how great and mighty God really is, in all aspects of life. 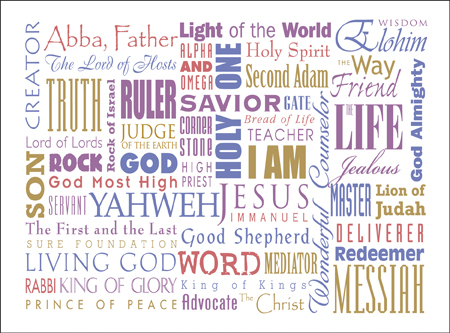 Above are the various names of God...which do you feel the most drawn to, the most powerful or the most inspiring? All thoughts welcome! 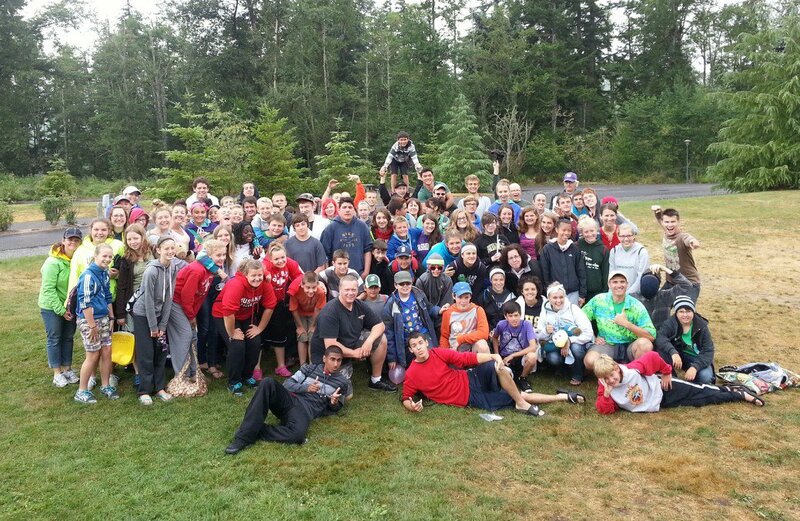 Well, just got back from an awesome weekend with my youth group! 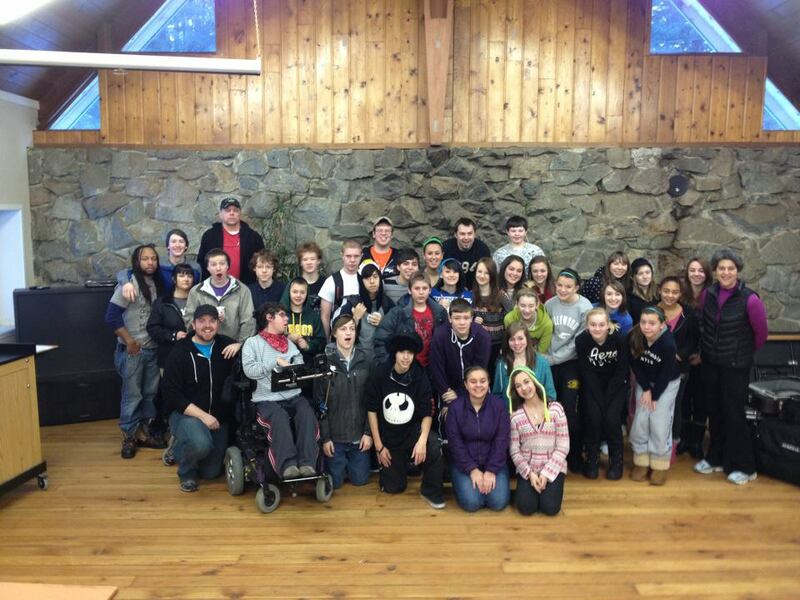 It was our annual Winter Camp and it was great to say the least. We covered nearly the entire book of James in just under 48, it was awesome! We divided the book into different sections and used different tools to teach the book to the junior highers. The weekend was full of good teachings, informative workshops, morning devotionals and great messages. It was so great to be able to come together and talk about Jesus…and everything He has done and will do for us. Some of the junior highers really opened up with several of them recommitting their lives to Christ and one even stepping out in faith for the first time. I think what hit close to home for me, was the no matter how old we may be or how smart we think we are, God can always teach us something. We talked over the course of the weekend about being an authentic Christian, and God spoke to me as well as to the students. There were definitely great reminders during the weekend, most of which came from conversations with other leaders and from talking with the students. So last night was awesome…I got to spend time with my fellow youth group leaders. We’re all leaders with the junior high youth group at our church, Eastside Foursquare. While we do get to see each other each week during youth group, it’s always so great to have a chance to be in community together outside of being at church. Each month we meet at our youth pastor’s apartment, have dinner, plan for upcoming weeks/months and all sorts of stuff. It’s typically a few hours of a good mix of fun and seriousness as we work together. Last night was our Christmas meeting and it was wonderful! We had a delicious dinner and spent some time just chatting. Then we jumped into brainstorming topics for the new year as well as continued planning for our Winter Camp in January. (We’re spending the entire weekend on the book of James) After we covered the business end of things, we enjoyed some Christmas fun. We exchanged gifts, played games and just enjoyed the chance to hang out with each other. It was great! I feel so blessed to be a part of this group and am so thankful for each of the leaders. When I moved home after camp, I prayed that God would open an opportunity for me to get involved with youth ministries, if that was His will for me. Literally the next day I talked to one of the youth pastors at my church and she asked if I wanted to help out with the youth group. I’ve now been involved with the junior high youth group for most of the school year and it’s been great. It took me a little while to get accustomed to it, mainly cause it’s a different area of ministry than I am used to, but I am so thankful I decided to stay with it. I’ve been co-leading the 8th grade guys, and while they are a challenge at times, it’s been very rewarding. I enjoy helping out with different aspects of Wednesday services and working alongside a great group of individuals. While each of us come from different areas and experiences, we all have something to give and make the youth group better for everyone…1 Corinthians 12, anyone? It’s been a great experience so far and I look forward to more great times to come! Please keep our youth group, students and leaders in your prayers.